Christian Capitalism: Was the Reformation worth the deaths? Presenting the Biblical basis for free market economics, capitalism, and sound investing. Was the Reformation worth the deaths? October 31 wasn't just Halloween. It was also the anniversary of Martin Luther nailing his 95 theses to the church door in Wittenburg, Germany and launching the Protestant Reformation. Tuesday was the 500th anniversary of that event. Economist Bryan Caplan asks if the lives lost in the wars that followed were worth it? ...the Reformation's main fruit was over a century of horrifying warfare. 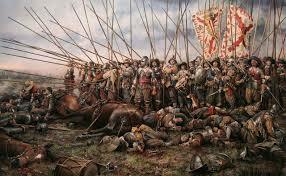 The Thirty Years' War, with a death toll around eight million, is the best known. The French Wars of Religion claimed yet another three million lives. These numbers are even more gruesome when you remember that Europe's population was far lower back then: For 1500 AD, Angus Maddison assigns twelve million to Germany and fifteen million to France. For what did these millions die? The standard story, as far as I can tell, is that the Reformation helped free Christianity from the "corruption" of the Papacy. Priests stopped scalping tickets to heaven and supporting their mistresses with the proceeds. Is that supposed to be worth millions of lives? That's an odd question coming from a libertarian like Caplan because he is really asking “how much is freedom worth?” Of course, Caplan is an atheist so he sees no value in religious freedom. There had been many reformations going back centuries and the Catholic Church came out of them much the better. Erasmus ignited the one we celebrate by writing about the corruption and false teachings of the Church. But Erasmus was popular and had a lot of political supporters. He warned people that an open break with the church would cause massive bloodshed. He encouraged people to practice their faith at home and give lip service to the church. And they did for the most part. Only bring a pious and open heart, imbued above all things with a pure and simple faith…. 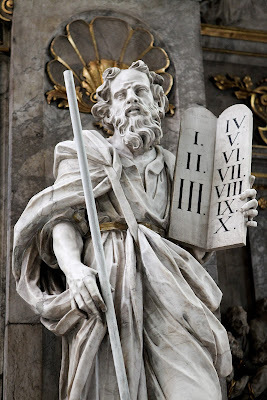 For I utterly dissent from those who are unwilling that the sacred Scriptures should be read by the unlearned translated into their vulgar tongue, as though Christ had taught such subtleties that they can scarcely be understood even by a few theologians. Christ wished his mysteries to be published as openly as possible. I wish that even the weakest woman should read the Gospel—should read the epistles of Paul. And I wish these were translated into all languages, so that they might be read and understood, not only by Scots and Irishmen, but also by Turks and Saracens.… Why do we prefer to study the wisdom of Christ in men’s writings rather than in the writing of Christ himself? But when Luther made his stand the church had gained too much political power and refused to reform as it had in the past. Instead, it decided to kill all who opposed the Church. The Inquisition and the religious wars were the church trying to murder all Protestants through the power of the state. That was also a period of divine right of kings where every monarch took offense at the slightest insult and felt the right to kill anyone they didn't like. In the Netherlands the King of Spain said he would rather rule over trees and rocks than have one Protestant in his kingdom and he almost succeeded. The real lesson of the Reformation is the danger of a Church/State alliance. Many sociologists are still dragging around Max Weber's book, The Protestant Ethic and the Spirit of Capitalism. Sorry, Max, but it's wrong. The principles of capitalism came from Catholic theologians at the University of Salamanca, Spain, at the same time as the Reformation. They may have been influenced by the freedom of thought of the Reformers because they reversed 1,500 years of Church teaching on commerce. Many church fathers had been educated in Greek and Roman philosophy and had baptized much of it. They inherited from Aristotle and Cicero a great contempt for commerce and manufacturing. As a result the Church encouraged the state to control most aspects of commerce, especially prices. The Salamancan scholars began with the fact that the Bible sanctifies private property. But property without control is not real property so they reasoned that for property to be more than an airy principle it required free markets. Then they determined that Aristotle's “just price” was nothing more than the one determined in a free market. The Salamancan scholars also taught a very limited form of government and were the first to argue for the “night watchman” role of the state reduced to protecting life liberty and property. Jefferson changed the phrase to life, liberty and the pursuit of happiness in his Declaration of Independence and confused people for 250 years. But only Protestant nations embraced the Salamancan principles of limited government and free markets, the Dutch Republic first and then England. That's why Weber thought capitalism is a Protestant invention. The Dutch gave religious freedom to its citizens, the first to do so in history, and protected the property of middle class business people, the bourgeois. As a result, businessmen would reinvest profits in their businesses instead of buying land and titles of nobility. And they would purchase labor-saving machinery in order to cut costs and increase productivity. The Dutch caused the inflection in the hockey stick of per capita GDP growth that produced our current high standards of living, thirty times higher than in the Reformation. Spain never followed and France followed only in the 19th century. The Catholic Church rejected the free market wisdom of its greatest scholars at Salamanca and helped keep most of Europe in poverty for centuries. Without the Reformation it's likely that those principles would have died in Salamanca and we would still be living in 16th century poverty and starvation. Yeah, it was worth it! Commodity Speculation: Does it Harm the Poor?